On Tuesday evening the SEC issued a significant report for cryptocurrency fund managers, announcing its determination that blockchain tokens offered and sold by an organization called The DAO were securities, subject to federal regulation. In its report, the SEC analyzed whether The DAO, Slock.it UG (a German corporation), Slock.it UG’s co-founders, and any intermediaries that brokered transactions violated federal securities laws through the issuance of DAO Tokens. Although the SEC ultimately elected not to bring charges or make specific findings regarding the transactions in connection with the issuance of DAO tokens, the SEC provided a cautionary report to all individuals and entities involved with future and past Initial Coin Offerings (ICOs), including cryptocurrency fund managers. Below is a brief background of the emergence of cryptocurrencies and ICOs, a securities analysis framework for ICOs moving forward, and finally our guidance regarding how certain virtual currency participants—particularly cryptocurrency fund managers—should proceed in light of the SEC’s report. Blockchain: Blockchain is an emerging piece of technology that generally serves as a distributed electronic ledger—similar to a database of stored information—that is spread out and maintained by multiple individuals in a network of computers. Blockchain networks utilize cryptography and encryption methods to secure, process, and verify transactions that occur on the blockchain network. Virtual currencies (such as Bitcoin, Ethereum, and Litecoin) utilize blockchain technology to create and verify transactions that occur between users of the virtual currency. 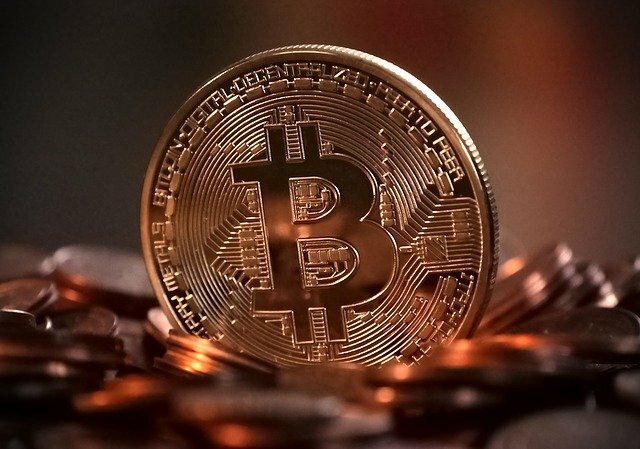 Virtual Currencies (also labeled cryptocurrencies): Virtual currency is a digital representation of value that is issued and controlled by its developers, and used and accepted among the members of a specific (virtual) community. Unlike regular money, it is not issued by a central bank or other banking authority and is therefore called unregulated, decentralized and relying on a system of trust; this trust is typically accomplished through the use of cryptographic methods in blockchain technology. Many virtual currencies are convertible and can be exchanged to “real” money like the US Dollars. Virtual Tokens or Coins: Virtual tokens or coins are typically units of value for virtual currencies. While virtual tokens or coins may represent other rights such as the right to utilize a product, virtual tokens or coins can often represent a financial interest in an entity or product; the latter potentially constituting a security. In an ICO, a company or other entity creates specialized virtual coins or tokens that it later distributes using blockchain technology. Individuals and entities that purchase these virtual coins or tokens typically exchange virtual currencies such as Bitcoin or Ether for the ICO company’s virtual coins or tokens. The capital raised in an ICO may go towards funding of a digital program, software, or other project. The virtual tokens or coins issued in an ICO can potentially be utilized by purchasers to access the digital platform, software, or contribute to the project in some capacity. Where promoters and cryptocurrency fund managers may run afoul of federal securities laws is in situations where the ICO involves a return on investment or an interest in the company. For example, a startup company could potentially raise capital through an ICO; in lieu of issuing stock to investors, it could conduct an ICO and distribute virtual coins or tokens to investors, promising a share of future profits. Investors–including cryptocurrency fund managers–could then sell and purchase the virtual tokens or coins of the ICO for virtual currency or fiat currency (U.S. dollars) via virtual currency exchanges, thus creating a secondary market for the virtual coins or tokens of the ICO. After the SECs release, the virtual coins or tokens that the company distributed would likely be considered securities subject to federal regulation. In addition, cryptocurrency fund managers purchasing such coins or tokens would need to comply with relevant Investment Adviser Act and Investment Company Act provisions and the virtual currency exchanges would likely be required to register as broker-dealers to avoid violation of federal securities laws. In the SEC’s report, the SEC refrained from laying down concrete rules . . . Starting a cryptocurrency fund? Contact us today at 732-704-7297.